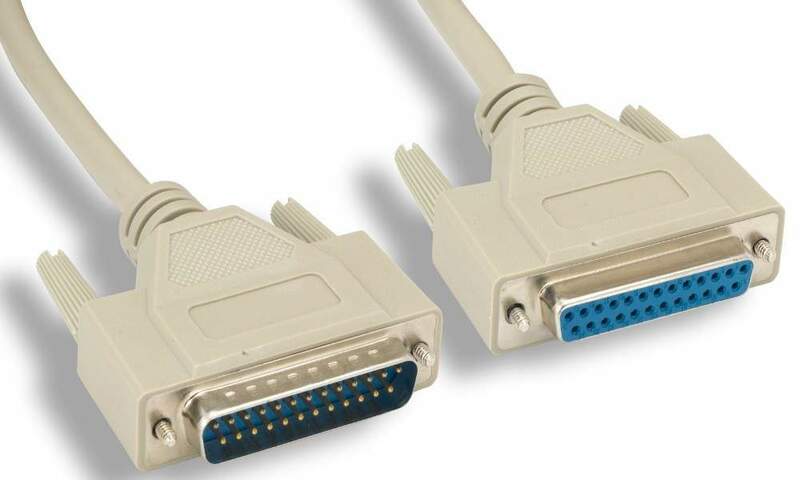 6' FT. Cable Male-DB25 to Female-DB25. Used to connect a external serial modem to a 25 wire connector on the back of the computer. Used to extend printer cables. Used to Connect up Serial or Parallel to switch boxes.